For the first time in AGF’s history, we are hosting and presenting the International AGF Awards – where we will highlight a single best-in-class event for its sustainability across eleven categories. Delegates of GEI (Green Events & Innovations Conference), IPM and ILMC will all be able to attend this inaugural celebration, which takes place during the drinks party held at the end of GEI and IPM, and at the opening of ILMC, at the Royal Garden Hotel, Kensington High St, London on Tuesday 5 March 2019. After eleven years of assessing and certifying festivals and events around the world through the Greener Festival Award and its derivatives, the time has finally come to shine a spotlight on those who are doing incredible work in each assessment sector in order to give deserved recognition to those individuals and suppliers that are really breaking ground in event sustainability, and to ultimately present the top prize attainable – the International Greener Festival Award. No higher accolade has previously been presented in this field, as the International Greener Festival Award will go to the event that has achieved the highest scores in the AGF’s peer-reviewed assessment and analyses, from all of those who participated throughout the year. In 2018, this includes over 40 festivals from 17 countries across 4 continents. Not only will these awards acknowledge the winners and their unfaltering commitment to sustainability and greener events, details of their achievements will be highlighted and shared during the ceremony, so that we can all learn from the best practices of others, and improve the industry from a social and environmental point of view, with the knock-on effect that our customers may return from our events with increased awareness of sustainability. Transport is one of the biggest culprits for many temporary events. With the transportation of audiences, production crew, artists, and the production itself still staggeringly carbon heavy, this award will be won by the event that has adopted practices that have led to serious reductions in their carbon footprint whilst still delivering the party. What we eat and where it is sourced are significant issues when it comes to sustainability. By eating consciously, we can take huge strides towards a more sustainable relationship with one another and with our planet. This award will be presented to the event that has demonstrated the greatest commitment to ethical and sustainable on-site catering whilst still providing delicious food options for audience and crew alike. This award is dedicated to events that establish a strong connection with the local community as well as a sense of community within the event. It recognises those demonstrating outstanding social inclusion, action for unity and encouraging acceptance between people, along with positive projects that provide benefit to others beyond the event itself. 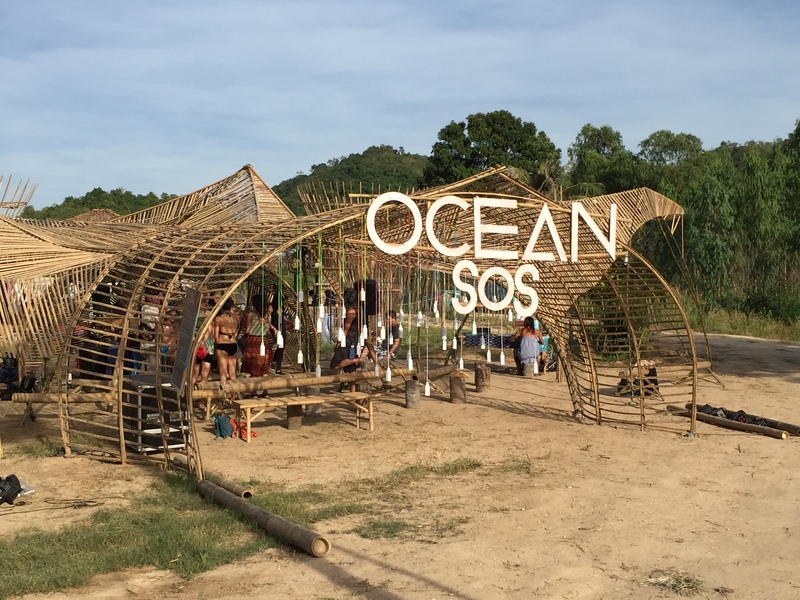 This award is aimed at the event that has created the most incredible spaces, installations, shows or environments in the most ethical and environmentally sustainable way. The Circular Festival Award will be presented to the festival that has demonstrated the greatest commitment to closing the loop on their resources flow. In other words, every item that comes into the event will be utilised in some way post-event rather than heading for disposal. Preventing waste, reusing, recycling and demonstrating full traceability of the movement of all materials both in and out of the event. The winner of this award will have shown clear environmental concern in their water usage and sanitation provisions by reducing water usage and waste; minimising production and poo mileage; eliminating unnecessary chemicals; and separating liquid waste streams to allow natural biological processes and harnessing valuable nutrients. This goes to the outstanding innovation, initiative or invention that has been a game changer in the green event space, and that has disrupted business as usual, or has provided a new solution to help turn something problematic into something positive. This award can go to either an event, an individual, or a supplier that has stood out during AGF’s global event assessments. Which event has the best pro-sustainability marketing and has successfully lured the general public into embracing recycling and other green practices? This award will be presented to the event that has best demonstrated a commitment to communication and PR that has resulted in significant cultural or behavioural changes for the greener good within and beyond their event. Event power is a hot topic in the realm of sustainability and also a hotbed for innovation. This award goes to the event that has successfully maximised their energy efficiency and adopted a power source that has the lowest impact on the environment by reducing greenhouse gas emissions and air pollution. We welcome partners and sponsors who would like to assist us in recognising and celebrating the dedication and innovations of our award winners. If you are a strong proponent of sustainability and greener festivals and would like to get involved with sponsoring this event, please get in touch at awards@agreenerfestival.com.